The greatest challenge teachers face when they are curating complex texts is finding authentic works that are both complex structurally and present rich themes and compelling ideas. Complex texts include various technical attributes that impact the reading level such as length, complex sentence structures, and subject-specific vocabulary. However, text complexity is much more than just the aggregation of complex syntactic and semantic information; it is also determined by the themes and structures within the text that require a greater depth of thought to fully understand. Goalbook Pathways has complex and engaging texts at all grade levels. Most are connected to rigorous assessment items or they are organized topically for teachers to design units or performance tasks. Does this reading leveling system (e.g. Lexile) reflect the complexity of ideas as adequately as it reflects the mechanical complexity of the text? Does this passage lend itself to the skill that I am teaching my students? Will my students authentically connect with the ideas and themes that are presented in the passage? Does the length of this passage match the reality of the instructional time that I have to work with? If the answer to all of those questions is a resounding “yes,” then you’ve found the right text for your students. However, finding these texts can be frustrating especially when you are creating unit plans that require lots of them because, as you can imagine, they’re not easy to come by. 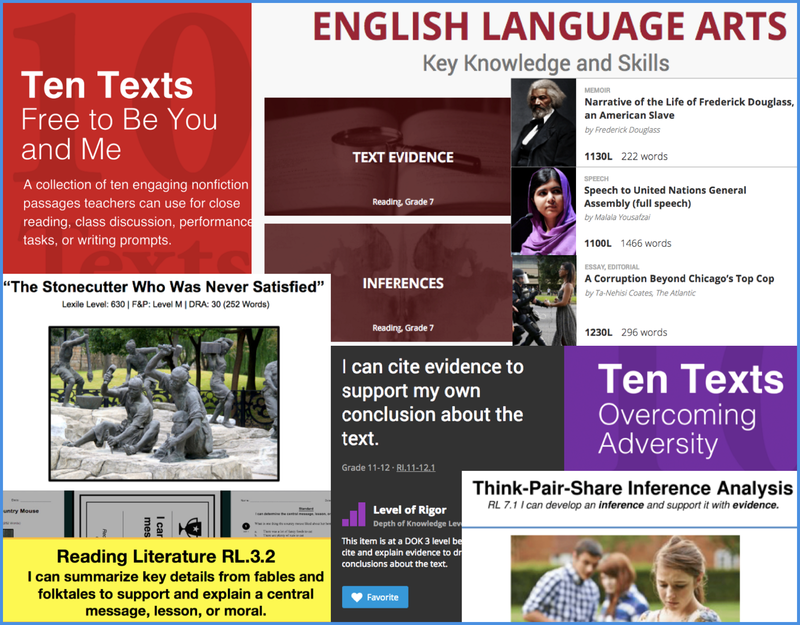 With all of the reading passages in Pathways, our content designers deliberately selected texts that lent themselves to the specific thinking and functional skills that are embedded within each standard. They also designed varying question types that engage students in higher order thinking skills in creative ways. Additionally, the texts strike a balance between being short enough to read and practice during a normal class period yet packed with enough rich content so that students can cite evidence and make claims. Our goal with passages in Pathways wasn’t just to tick all of the boxes on the “text complexity checklist,” our goal was for students to learn and achieve at the highest levels and doing so involves engaging them in learning that prioritizes competence and confidence. That comes when students can read the text fluently, comprehend the content, and connect with the text emotionally. 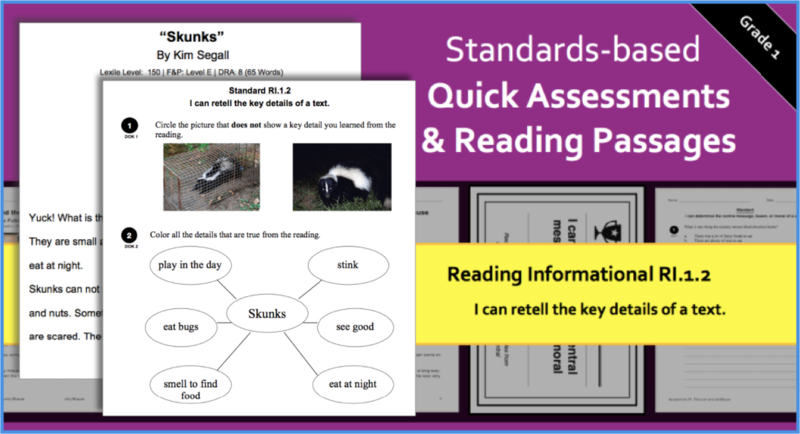 Example of first-grade Reading Quick Assessment with varying question types that meet students at their developmental level yet still present them with a rigorous task. The texts within Goalbook Pathways are developmentally appropriate at every level and require students to make connections in an authentic way. For example, at the high school level, there is a set of passages that students use to argue whether or not the use of an atomic weapon is justifiable in any context. 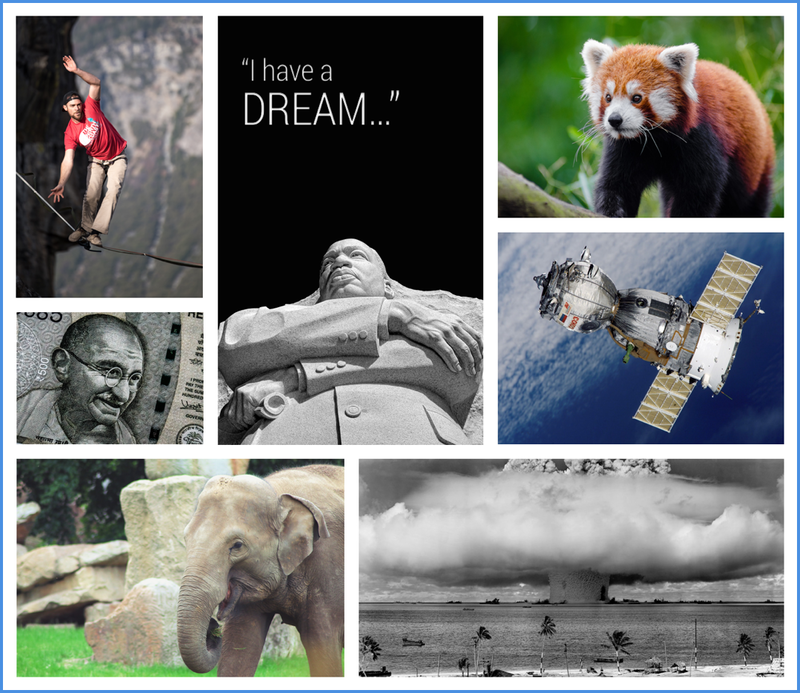 At the elementary level, there is a series of passages that engage students in thinking about endangered animals, teachers can use these passages to spark discussion and as the foundation for writing tasks. There is a variety of engaging and compelling reading passages within Goalbook Pathways that teachers can choose from. One thing that cannot be lost in the discussion about complex texts is their ability to engage readers by immersing them in worlds where the reader questions their own assumptions and viewpoints on a topic. The passages in Goalbook Pathways do just that, check them out!